Bob compiled these pages on trees to answer questions about tree planting, maintenance, insects and disease. Remember climbing trees as a child? ...or the refreshing cool shade during a hot summer day? ...or taking those special car trips to enjoy fall foliage? We remember these things, and many more, when we think of the important role trees have played in our lives! We believe trees should be the first thing planted in the home landscape. They don't have to be big trees, but careful attention should be paid to the varieties chosen, as well as their planting locations. Avoid fast growing trees such as Silver Maples and Poplars since they provide rapid growth early, but create numerous problems later on. Silver Maples grow way too large for most lots under an acre, clog older style terra cotta drain pipes with their roots, and form bumpy surface roots and weak branches. Bradford Pear is another tree that seems desirable early on, but begins breaking up in ice storms and high winds after 15 to 20 years. Most nurseries carry improved varieties of an older species you may be very fond of. For an example, even though a couple of the older crabapple varieties like Snowdrift have proven worthwhile, other crab varieties are prone to leaf scab and other diseases. Therefore, always try to plant varieties that are resistant to disease and you'll save yourself time, aggravation and money down the road. 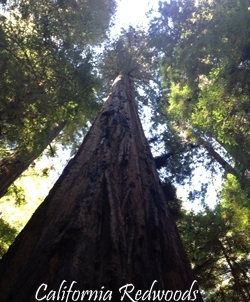 Just like t-shirts, trees come in small, medium and large. Always guide your selection of tree by the place it will grow. Don't plant a large variety under utility lines. Plant trees far enough from immovable objects (like houses) so that you won't have to trim them every year to correct your mistake. Keep plantings out of right-of-ways so you don't eventually lose them to development. Paying attention to proper pruning in a tree's juvenile years will help it develop properly, saving more drastic (and costly) pruning later in life. Watering a young tree once a week during droughts will not only help it survive, but create better growth and blossoms the following year. Annual fertilization in the spring of the year will help a young tree's growth immensely. Most tree problems develop gradually and can be addressed best when they are caught early. Learn to be a good observer and watch for symptoms of developing problems like poor leaf color, distorted leaves and leaf damage. By learning to be a good observer you can stay ahead of the curve on many tree problems. Sergeant Alfred Joyce Kilmer, who is best known for this poem "TREES" was killed by a sniper in France during World War I at the age of 31. 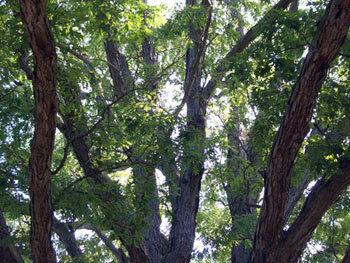 It's been reported that a white oak (like the one below) on the Rutgers University campus was the inspiration for his poem.